“I do not want to over-dramatise, but this is Orwellian. 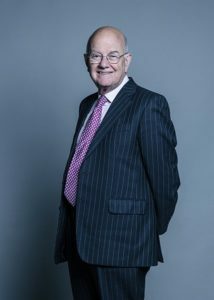 We should not have anything to do with this in either House of Parliament.” Statement in the House of Lords by Patrick Thomas Cormack, Baron Cormack. 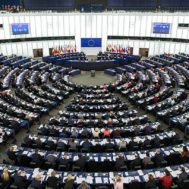 Outrage erupted in the British Parliament this week over the threat to civil liberties in the UK’s pending Ivory Bill (HL Bill 119). The Bill’s delegation of search and seizure powers to an “accredited civilian officer” to hunt for ivory set off alarm bells in the House of Lords, with Igor Judge, the former Lord Chief Justice of England and Wales, leading the charge against language granting police powers to a civilian investigators and enforcers authorized by the Secretary of State. Law and Order Enthusiasts Wanted, No Experience Necessary! If the Ivory Bill is passed, as expected, it would enable the Secretary of State to use civilian ivory-hunters to search any premises if used for business, to break open locked doors and containers and search for and seize any evidence of ivory trade. Such civilian officers could also “carry out any measurement or test” of an item suspected to be ivory that does “the least damage possible” to it. They could seize documents and other records. And the ivory-hunters would be allowed to use “reasonable force, if necessary” in the search and seizure of ivory objects. The bill expands the powers of an accredited civilian officer of civil servant level 7 or above by allowing them to obtain a search warrant, and then to search dwellings, and to “seize and detain or remove” items and documents. The addition of ministerial civilian-enforcers to an ivory law would permit an extraordinary level of intrusion by persons who are not trained as police officers. Its inclusion in the proposed law shows how extreme the position of the anti-ivory campaigners has become. An incisive commentary by Anna Somers Cox in the Art Newspaper,“The UK’s imminent law against the trade in ivory is a serious threat to liberties, says former Lord Chief Justice,” focused on the issue of civilian investigators with police powers. The article highlighted concerns of Members of the House of Lords over the delegation of police authority to civilians who, unlike police officers, would not be accountable to the public. The drafting of the Ivory Bill was prompted by concern for the thousands of elephants still being killed by poachers in Africa. Despite clear evidence that China, Vietnam and other South Asian countries form 95% of the world market for ivory, and the fact that the UK already does not allow import or export of raw ivory, the proposed Bill gained high public visibility. Celebrities and royals called for a complete ban on the trade, even in antique and ancient ivory objects. Opponents said that passage of the Ivory Bill will eliminate trade in the majority of antique, ancient, Islamic, and Asian objects containing ivory. A near complete ban on the trade in objects that are made of or include ivory would, with certain very narrow exceptions, end the UK market in any object that contained ivory, no matter what its age. This cornetto contains too much ivory to qualify under the musical instrument exclusion. 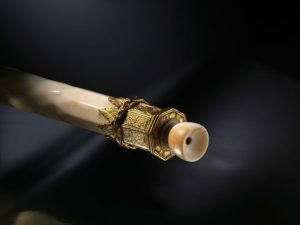 Cornetto in A; German, Aerophone-Lip Vibrated, circa 1575, ivory, gilt ferrule, Metropolitan Museum of Art, via Wikimedia Commons. Pre-1918 portrait miniatures with a surface area no more than 320 cm sq. Pre-1975 musical instruments with no more than 20% of ivory by volume. Pre-1947 furniture and other objects not be more than 10% ivory by volume, a very narrow limit. Museums will continue to be able to purchase and to accept donations of ivory and to transfer items from one museum to another. While the law may allow sales of the ‘rarest and most significant items of their type’ of antiques over 100 years of age, if they are vetted and approved by a group of experts, very few objects will meet this exacting criteria. Since only a narrow range of artworks will qualify for exemptions, important antiques and valuable furnishings that include ivory will be at increased risk of neglect and even destruction as a result of the negative public perception of ivory resulting from the UK’s ban. 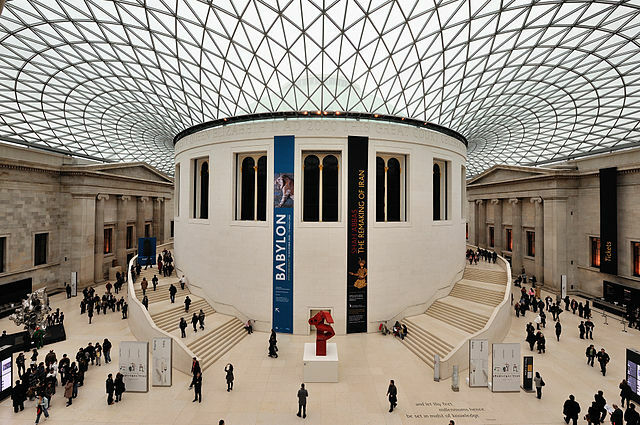 Hartwig Fischer, Director, British Museum, on its acceptance of a gift of 556 Chinese ivory figures. 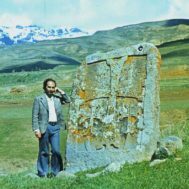 Collateral damage to museums’ role in preserving and interpreting history for the public has already occurred as a result of anti-ivory and anti-antiquities trade activism. Although the proposed Bill will continue to allow museums to acquire ivory objects, the political effects of the proposed legislation are already being felt at the museum level. In June 2018, the British Museum accepted a gift of 556 antique ivory objects from the Sir Victor Sassoon Chinese Ivories Trust. Victor Sassoon, an Iraqi-Italian businessman based in Hong Kong, built an extraordinary collection of antique ivories, primarily during the 1930s. The Sassoon collection includes intricately carved ivory items from Chinese Buddhist, Taoist and Confucian tradition. Most of the items were created in the 16th through 19th centuries. 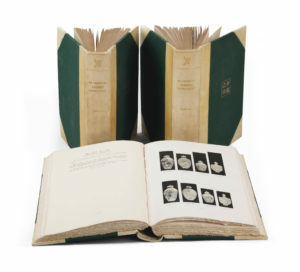 Catalogue of the Sassoon Chinese ivories, courtesy Christie’s. Nonetheless, some activist organizations have taken the position that that acquiring and displaying ivory of any age fuels a market in ivory that leads to the killing of elephants, despite assurances by experts that the sale of antiques has no link to poaching. 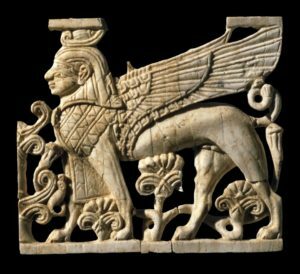 Ivory plaque depicting a winged sphinx, Phoenician, 900BC-700BC, © The Trustees of the British Museum. 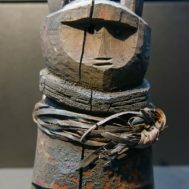 If even donations to museums are criticized, there remain serious doubts about the preservation of hundreds of thousands of artworks that remain from the over 4000 years that ivory has been used to create extraordinary objects, many of historical significance, but perhaps not the greatest or rarest example of a type. Will they be neglected – tossed aside. Will antique objects that do not meet the standard of “outstandingly high artistic, cultural, or historical value” not only be banned from the market, but in light of the search and seizure powers of a civilian enforcement network, be seen as a liability to their owners? Globally enforced policies to protect living elephants and to halt the trade in new ivory are crucial. However, much of what is written about the ivory trade lacks factual analysis, and relies on emotional arguments. Only solid facts can form the basis for good laws. Misconceptions about the the trade in antique ivory has led to adoption of policies that promise much, but do nothing to stop elephant poaching or to halt illegal shipments of African ivory to Asia. Instead they devalue antique objects, imposing economic penalties on innocent owners, or abuse citizens’ liberties. As current owners lose interest and dealers dump objects too risky or troublesome to sell, the new law’s failure to include a broad range of antique items in exemptions will likely result in the disappearance and destruction of hundreds of thousands of less ‘significant’ antique items. The widespread public stigma of ivory ownership and the loss of commercial value will inevitably mean that objects will not be preserved. In turn, this will restrict access to historical materials by scholars as well as the interested public. 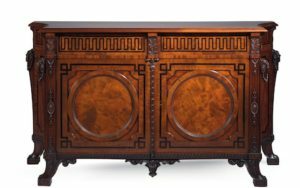 The Chippendale commode: eared concave-sided rectangular top with moulded edge above a pair of doors with ebony key-pattern frieze, courtesy Christie’s, London. It is well-known that China has been the primary market for raw ivory since the1990s. A law banning the trade of ivory in China went into effect on the last day of 2017, but nine months into its enforcement it is still not clear that the ban has had a positive effect on elephant poaching. Experts agree that the importation of ivory into China is now more closely watched by its government, but there are loopholes in the laws, and illegal imports through other Asian countries still fuel the trade. Many of the provisions in the proposed law appear unlikely to protect elephants but instead pose a very real threat to cultural heritage and the market. Statements by Prince William and other anti-ivory campaigners have misrepresented the facts and the actualities of the market, and muddied rather than clarified the environmental issues. 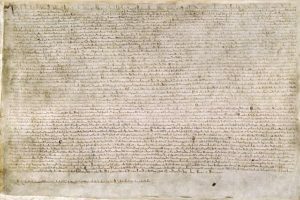 In 2017, for example, the prince told Jane Goodall that he would “like to see all the ivory owned by Buckingham Palace destroyed.” In this extreme situation, it is even more important to heed calls like those of Lord Judge and and Patrick Thomas Cormack for a more rational approach, including a Parliamentary reworking the proposed Ivory Bill to eliminate all of its excesses.